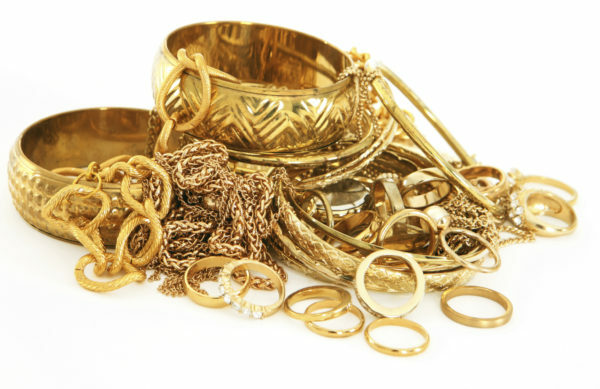 New Delhi– Demand for gold in India for the second quarter dropped by 18 per cent mainly due to high price, jewellers’ strike and various regulatory moves by the government, Somasundaram PR, Managing Director, India, World Gold Council, said here on Thursday. The demand for the precious yellow metal for the April-June quarter in 2016 was 131 tonnes, down by 18 per cent compared to 159.8 tonnes in the corresponding period in 2015. India’s second quarter 2016 gold demand value was Rs 35,500 crore, a fall of 8.7 per cent in comparison to the same period a year ago. “In India, consumer demand fell 18 per cent to 131 tonne in Q2 2016, compared to 159.8 tonne in the same period last year, and only marginally higher than Q1 2016. This quarter too was a truncated period for sales as the jewellers’ strike extended into April and remained more or less effective until Akshaya Tritiya, when sales saw a brief boost,” Somasundaram said while releasing the second quarter demand report. “However, elevated price levels and a regulatory push for transparency through PAN cards, tax collection at source and excise duty on jewellery, coupled with weaker rural incomes kept demand subdued,” he added. The second quarter also witnessed a spurt in the flow of unofficial gold into the country, significantly impacting the organised and tax compliant segments of the gold industry, he said. The World Gold Council estimates gold demand for 2016 to be in the range of 750 to 850 tonnes. Somasundaram is hopeful that the demand will pick up in the remaining two quarters of 2016. “We anticipate gold demand to return to normalcy during the peak season of weddings and festivals closer to Diwali, supported by good monsoons that will positively impact rural demand. “It will benefit both consumers and the trade to transition swiftly to the new reality of better tax compliance, across segments, nationally,” he added. Somasundaram said the focus has to shift to adopting an industry-wide code of conduct covering responsible sourcing, transparent pricing and hallmarking, without exception. “At the same time, policy endeavours have to be made towards a reasonable duty framework considering gold’s role, inter-alia, in promoting and protecting savings and in enabling easier access to credit for a wider cross-section of people,” he added. Total investment demand for the second quarter in 2016 in India was down by 12 per cent at 33.1 tonne in comparison to the same quarter in 2015.